In the second in our series of “Meet the Gavi CSO Constituency Board Team” we meet Craig Burgess, CSO Board Alternate. Equity and integration for health system strengthening. These are Craig Burgess’s-- Senior Technical Officer, John Snow Research and Training Inc. (JSI) and Gavi CSO Board Alternate-- two main passions. Recognising immunisation can be at the core of driving both of these agendas, Craig has been an enthusiastic champion of vaccines and their delivery for over 20 years. As a technical adviser, Craig works on a number of JSI projects. He works collaboratively with some of the world’s biggest partners in immunisation and global health, to develop projects which will have the biggest impact on the provision of essential health services that target the most vulnerable. This includes analysing and providing evidence to help develop essential healthcare packages, in the context of Universal health care, and supporting the introduction of new vaccines. Further, with his health policy, planning and financing background, Craig helps develop the evidence needed by policy makers to inform their decision-making around how much new technologies (such as vaccines), will cost to sustainably fund and deliver – essential analysis to make sure vaccines are affordable and actually reach those who need them the most. 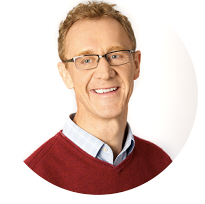 Craig is a trained physician and has always had an interest in infectious diseases. Studying in St Andrews, Manchester and Liverpool in the UK, he is one of very few of his classmates (if not the only one!) who now works in global public health. Starting his international career with MSF, he worked in South Sudan, Afghanistan and Myanmar on a number of projects focused on primary health care, maternal and child health for displaced populations and various infectious disease control projects. These first positions sparked his interest in the role of immunisation from a prevention of infectious disease perspective; he then went on to work in the South East Asia WHO Regional Office on immunisation systems for a number of years and has also worked for UNICEF in Vietnam on integration and primary healthcare, and several other low and middle-income countries. All of his projects have been grounded in the goal of working towards Universal Health Coverage (UHC). The CSO Gavi Board Alternate role is not Craig’s first encounter with the Gavi Alliance. He worked for Gavi from 2006 to 2010, when the decision was first made for Gavi to proactively engage, collaborate and fund civil society as one of the GAVI Alliance’s key partners. Back then, the CSO engagement with Gavi was through a small informal working group. One of Craig’s proudest achievements is being part of this critical relationship at the start, especially seeing what it has turned into. The Gavi CSO Constituency now has over 4000 civil society members, which is supported by a 16-member Steering Committee which Craig is also part of (you can see a full list of members here. Look out for more details on how you can apply to join later this month). Looking ahead, Craig believes there is one main challenge that the Gavi CSO constituency and Gavi CSO Board members can help the world deal with – promoting the understanding of the value of civil society. CSO’s play a critical role in immunisation and Universal Health Care. They can deliver vaccines, where government services are not able to reach or are inadequate, they provide technical support to service delivery, they speak up on behalf of those who cannot themselves, they design and monitor services to make sure they are appropriate to reach every last child, and they can hold government and donors accountable for their commitments made. Too often though, their role is overlooked and underestimated. The accountability role they play in highlighting governments or partners when they are underperforming or services are not provided, is not always welcome – but without greater accountability for immunisation, too many children will continue to miss out on life saving vaccines.